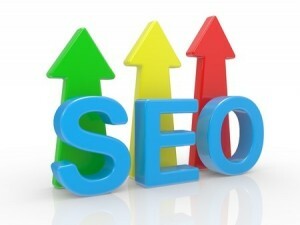 There are dozens of important variables that comprise the art of search engine optimization. Without a proper understanding of this critical concept, a blog, website or marketing project is destined to fail in almost all cases. The use of search engine optimization makes it possible to please consumers, shoppers, readers, search engines and fellow webmasters alike, which helps to create new and exciting possibilities for a brand or business. Even though there is much to consider, we have put together a list of three critical SEO metrics that you do not want to forget about in a world that otherwise and often focuses on simplistic SEO concepts. Without a comprehensive and dedicated stream of traffic, virtually all other SEO considerations are for naught. The need for analysis in how each set of keywords is performing sheds light on the most important element of all: the overall trend. Through the use of Google Trends, businesses and brands will be able to target their chosen keywords to see whether the overall search market is expanding or contracting in these areas. Additionally, organic trends as it relates to performance for their websites directly in these keywords can be obtained through site-specific analytics. Ultimately, pinging users with information and content must be done in keyword markets that are stable or expanding in terms of traffic. Many people conduct basic level keyword research and begin analysing their rankings and improvements shortly thereafter, only to discover that no progress has been made. In SEO, the specificity and depth to which keyword research and application are conducted matter. More generic keywords are harder to rank for, and even more detailed keywords require additional research in order to improve rankings in search. By using tools such as Google Webmaster Tools, you can break down keywords into categories such as the total number of clicks, the number of organic impressions and whether the keywords are branded or not. Especially when combined with the organic trends analysis mentioned above, this research can provide ample insight into which keywords are truly the best to be targeting. Organic traffic patterns play a huge role in search engine optimization, but other forms of traffic – including direct traffic and referral traffic – may also be linked to SEO. There have been studies conducted that show that a decline in organic search traffic may result in an increase in referral traffic at the same time – under the right circumstances. As such, SEO isn’t just about obsessing over keywords and pinging users with content. It also pertains to a broader framework of traffic and being able to understand how each affects the rest. By combining organic traffic analysis with direct traffic and referral traffic analysis, you’ll be able to get a better idea of which events and content is affecting the flow of traffic to your website. This provides a great amount of insight into how various actions related to SEO can impact the overall flow of traffic. me parecio muy bueno su contenido otorgado me ha sido de gran ayuda para empezar a mejorar un poco mi sitio web y dedicarme mas a las palabras claves y todo lo demas gracias por su aporte..